We're Ready to Rumble, I mean Decorate! The mechanics have been tested, the band is selected, the color guides are all in place, all that's needed now is you to decorate! Dry decorating days are happening on November 24th and December 1st and we need your help to get all of the dry materials ready for Decorating Week. This is an important part of getting our float done on time and within our budget. You don't need to belong to TRFA to decorate on Dry Days and lunch is provided too! Get your decorating form in to get signed up! Hope to see you there! With the main structure in place for our float, it is now time to check the moving elements and animation of the float. Here's some footage of the successful test! 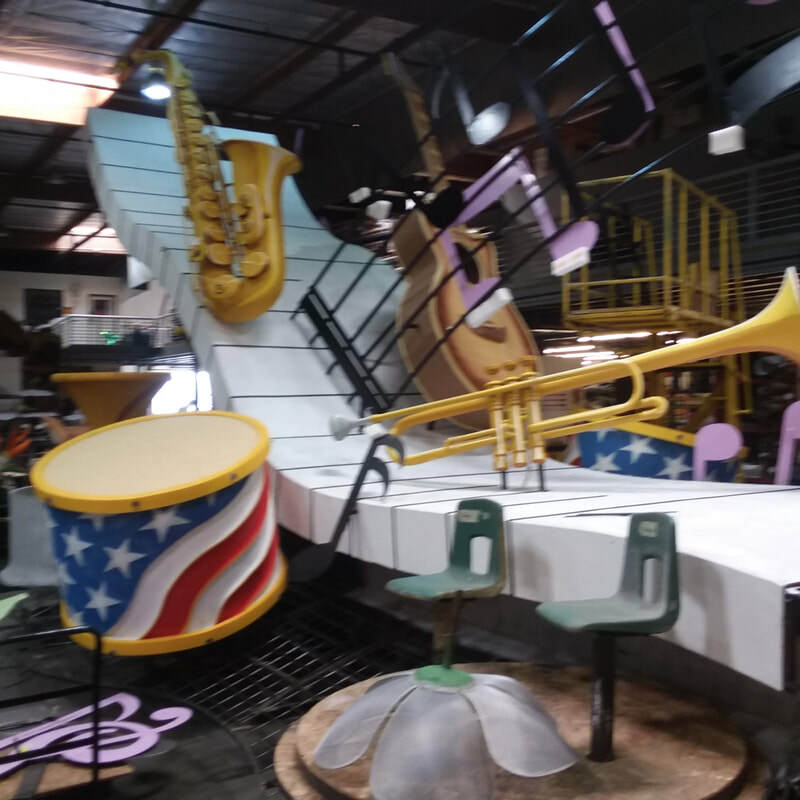 Music is the theme for the Rose Parade and our float this year. 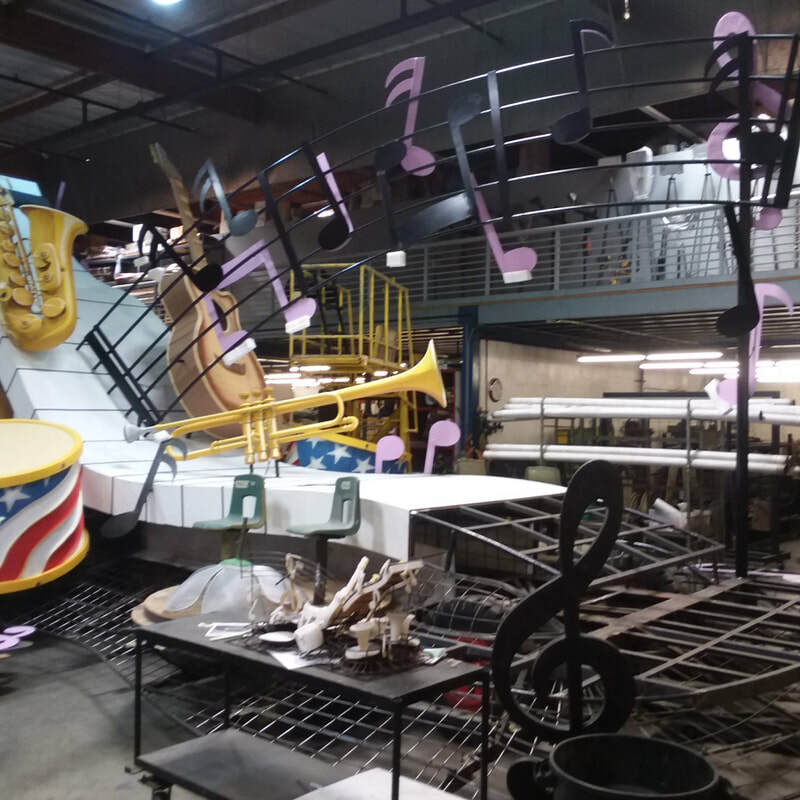 To add a special touch to our float, a live band will be performing while the float travels the parade route. We put out a call for entries and called it "Battle for the Band". ​We had an amazing Battle for the Band. Thanks to EVERYONE who entered our search. What an outstanding job ALL the Finalists did! Thank you to our three Battle for the Band finalists Alinea, Abracadabra and Emerald Street. After a lengthy discussion and review, the TRFA Board wants to congratulate ALINEA who will be representing the City of Torrance on our 2019 Rose Float. 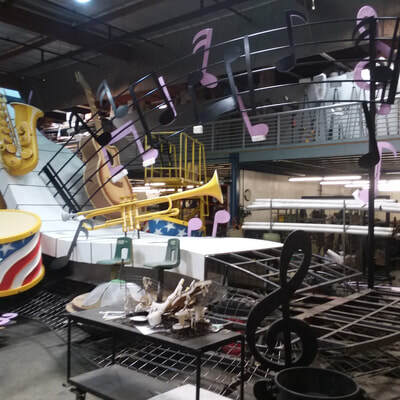 KCBS2 recently aired a feature about Tim Estes of Fiesta Parade Floats. Our City of Torrance Float is shown as part of the story! You can almost hear the music! 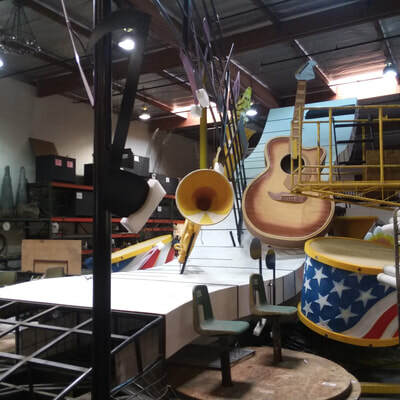 We always love seeing photos of our float in progress and here are our latest pics! We just completed our call for entries in our Battle for the Band, thanks to all of our entrants for wanting to play their hearts out and represent Torrance on New Year's Day 2019! Next up is our 3rd Annual Luau on Saturday, July 28th. We have received lots of generous raffle prizes and donations, so you will definitely want to be there! Here's where we share our latest updates and photos on what is happening with this year's float!. © COPYRIGHT 2017-19. ALL RIGHTS RESERVED.